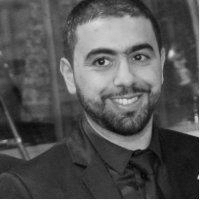 Rachid Ouaïch is the founder and managing director of EETHIQ ADVISORS S.à r.l. Since 2007, he has been heading the European activities of Wafra Capital Partners L.P. managing the operations of several real estate Shariah compliant products, with AUM of about 1.5 billion Euros. Across Europe, in Turkey and the Middle East, it is around 30 real estate investments that have been islamically structured and managed under his supervision, making his team of professionals, one of the few in Europe that can claim hands-on practice in this innovative and complex industry. In addition to these responsibilities, Mr Ouaïch advice is regularly sought by renown Luxembourg banks, as well as major Middle Eastern investment managers and family offices who wished to develop and optimize the operations of their European real estate products that are compatible with Shariah principles. He is also the Chairman of the Islamic Finance Professionals’ Association, a Luxembourg not- for-profit association that aims at connecting professionals active in the field of Islamic Finance. Rachid Ouaïch graduated in Business and Engineering with a major in Finance from Hautes Etudes Commerciales de Liege, Belgium (HEC-Liege) in 2000.